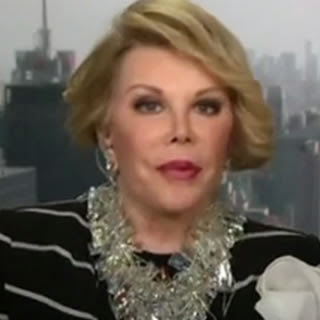 The actress and presenter Joan Rivers, 81 and a career of 50 , withdrew from a live interview on Saturday 5, while talking about her book on CNN. According to that video was shared on the Web, Joan would not have liked the questions asked by the interviewer Fredricka Whitfield. Tell your opinion..was out of line or not.R.IP.